« How Could You Not Know This? How is this project going for you? It’s a good idea. I’d gladly wear the second one (it looks as though it would create a bigger shock) but I don’t wear T-shirts. Be sure to write about your results. You know I will gladly wear it! either one is fine with me. I will let you choose. 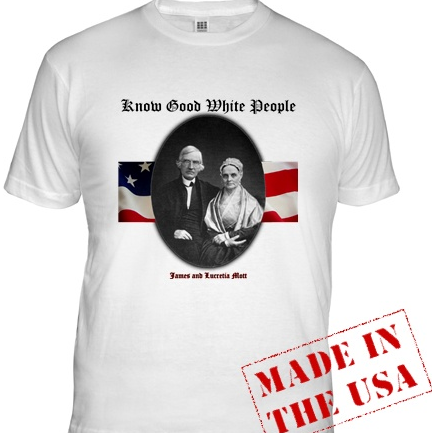 What about William Lloyd Garrison or John and Jean Rankin? I need to read up on James and Lucretia Mott, apparently. You got one big enough I’ll rock it gladly. 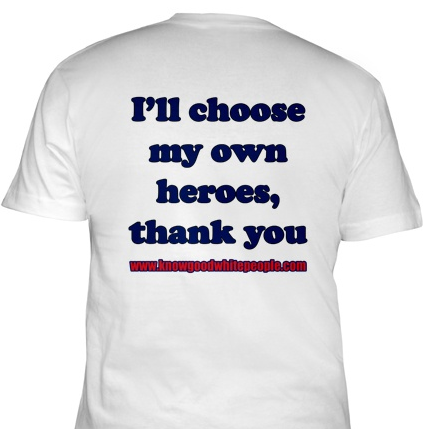 E-mailing you NOW – I’d LOVE to wear one if you have any left. If you are going to run it again, or have any shirts left, I would wear one and so would my brother (who is also named john brown). I admire the abolitionist john brown because he had unlimited balls in an age when it was a thousand times more perilous to be ballsy. Did you know he was captured by another “colored” guy, surnamed green? I don’t know about the Motts, but will read about them in future. I am reading a book called “slavery by another name” – utterly stunning, enraging in fact. It should be a must-read for all americans. 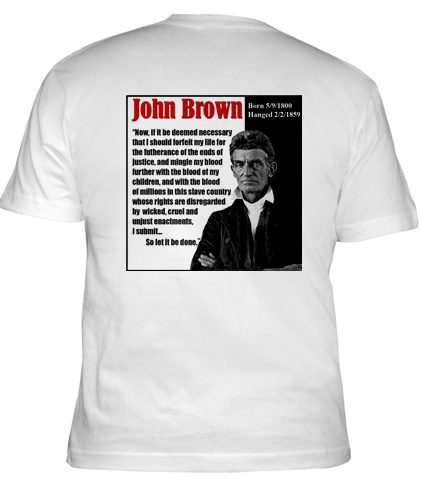 I would LOVE a John Brown t-shirt, free or not. I actually have been looking for one online. Please contact me on facebook info how to buy a shirt. I would love to be part of your experiment! Thanks.